At the end of the world, a gas mask is almost a vitally necessary accessory that will keep you breathing easy while filtering your air. 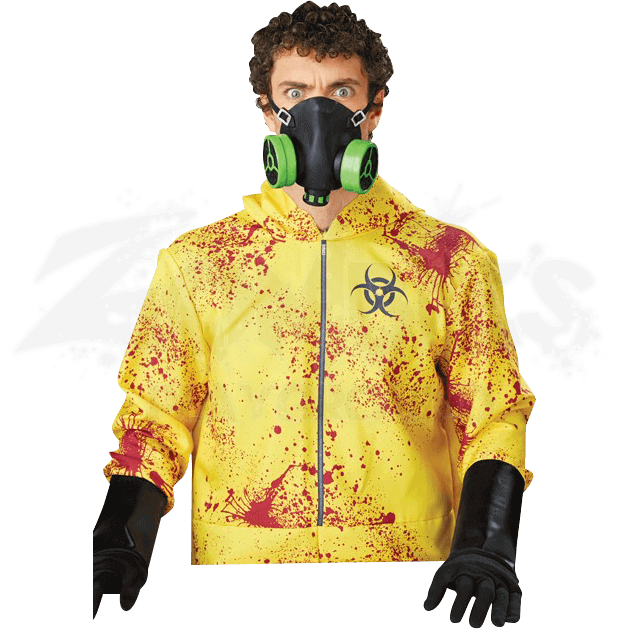 Rest assured that while wearing the Biohazard Gas Mask, you will not have to worry any airborne toxins or gases. This impressive gas mask has the look of a classic portable gas mask, featuring a small size that is designed to be worn over the mouth and nose. It secures in place via a series of straps and buckles, fitting a black mask over the mouth and nose. This mask is set with 3 filters, two situated on the sides and one at the bottom of the mask. This mask is made from 100% soft latex and PVC plastic. In spite of its realistic look, though, it is just a prop. 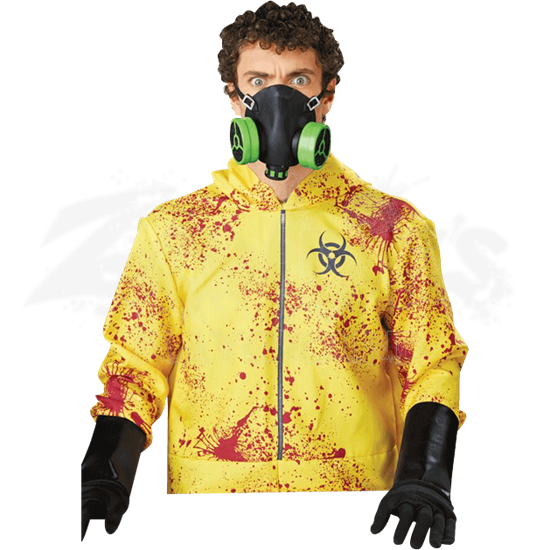 Whether you are surviving nuclear fallout, a chemical attack, or protecting yourself from the airborne zombie toxins, this Biohazard Gas Mask is a definite necessity when it comes to protecting yourself and the very air you breathe.